I consider the Sony a6000 to be the most important camera model among all mirrorless cameras. After years of steady development and progression in mirrorless system technology, the Sony a6000 skyrocketed the adoption of the new camera system even further. The camera represents the innovation and genius of Sony engineering and design. Sony managed to create a highly capable camera in such a small form at an incredibly low and affordable price. The Sony a6000 was released in 2014 but, even today, it is the best-selling camera on Amazon. It recently became the most sold mirrorless camera of all time. Even though Sony released the a6300 and a6500 models in recent years, the a6000 is still one of the best choices for an entry-level camera with interchangeable lenses among both mirrorless and DSLR models. When I started shooting with the Sony a6000 not long after it was released, the main stumbling block in Sony’s adoption was lack of high-quality E-mount lenses. There was only a couple of options avalable on the market. But, over the years, the E-mount lens lineup has grown to include over 100 lens models. The uniqueness of Sony cameras is that both cropped and full frame sensor models use the same lens mount—the E-mount. This means that you can use lenses designed for full frame cameras (marked EF) on your Sony a6000 camera body. But, I advise against it. The Sony EF lenses are big, expensive, and do not perform as well on cropped sensor cameras. Try to select lenses designed specifically for the APS-C cameras (marked E). All three models use identical bodies with the same lens mount. Sometimes, this makes it difficult to distinguish the models from one another. It also means that, no matter what model you choose, the selection of lenses available is identical. The photo was waken with Sony a6000 and Sony 10-18mm lens. For the Sony a6000, a6300, or the a6500, my lens of choice would be the latest addition to the Sony E lens lineup—the Sony 18-135mm. The wide-angle lens is the cornerstone of landscape photography. If you have a passion for landscape photography, you absolutely must have a wide-angle model. The good news is that Sony has one of the best and most compact lenses among all APS-C camera systems—the Sony 10-18mm. It looks more like a pancake than a wide-angle lens. I currently shoot with a Fujifilm and my biggest regret is not being able to use the 10-18mm wide angle lens. 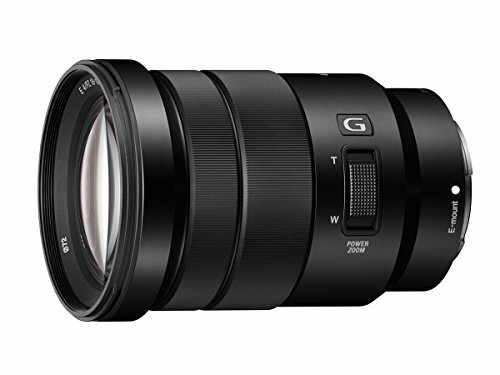 The Sony 16-70mm lens is the result of a collaboration between Sony and Zeiss. It is a beautiful and optically excellent lens. It was the most used lens I had in my collection. Many photographers use 50mm lenses as their primary portrait lens, but I find that the 50mm focal length on APS-C sensor camera is a bit too restrictive. The 30-55mm focal length gives me more freedom to shoot close-up portraits as well as environmental portraits. My favorite portrait lens for the Sony a6000 is the Sigma 30mm f/1.4. To be honest, it remains a mystery to me how Sigma managed to design such a quality lens at such a low price point. The Sony 18-105mm lens only has one shortcoming—it is a bit too big for the small Sony a6000 body. I would not take it on a long and demanding hike because of its size and weight. But, for everyday photography, it is a perfect lens for walking around. If you accompany the Sony a6000 with the 20mm pancake lens, you will have such a small combo that it looks like a point and shoot camera. You can fly under the radar without attracting any attention in a busy street environment. The photo was waken with Sony a6000 and Sony 16-70mm lens. The Sony 18-135mm F/3.5-5.6 OSS is a compact and lightweight lens, a perfect companion for your travels. It is the ideal replacement of the Sony 16-50mm kit lens for the Sony a6000 series and the newest addition to Sony’s APS-C Mirrorless camera line up. The 18 to 135mm focal length can handle quite a few situations. At 18mm the lens is perfect for nature and landscape photography. Then, at 35-50mm middle zoom range, it is great for portrait shots. Many of you will also enjoy the mild telephoto. At 135mm you can bring subjects closer than any other kit-lens on the market. As far as the image quality, this lens will not disappoint you. It’s not the sharpest lens you can buy, but at this price point, focal length and size, it is an ideal travel lens. Also, the built-in Optical Steady Shot will work in your favor to take sharp and clear images even if your hands are shaky. Overall you will be surprised with its performance. The Sony 18-135mm does a pretty good job for a variable aperture lens. For those who love nature and landscape photography, the Sony 10-18mm F4 is the lens missing from your camera bag. Given the small and compact size, it has amazing optics and fits on all Sony APS-C cameras. It is packed with Optical Steady Shot which works either with or without Sony’s in-body image stabilization. The first thing you will notice when you hold this lens in your hands, is the built quality. It has the right size and weight for a wide-angle lens. 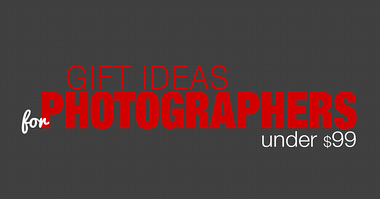 More features include a constant aperture of f/4, a zoom and manual focus ring. The Extra-Low Dispersion glass enhances the image quality and reduces chromatic aberration. In particular, the Sony 10-18mm produces very sharp images especially at f/8 or f/11 aperture. However, when you take photos of buildings or straight lines, you might get a bit of rectilinear distortion. 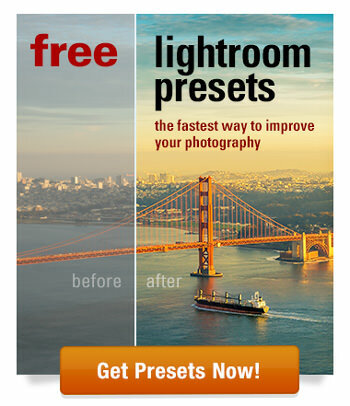 This can be fixed in post-process. In conclusion, the Sony 10-18mm is not a new lens. It has been around in the market for more than 5 years. 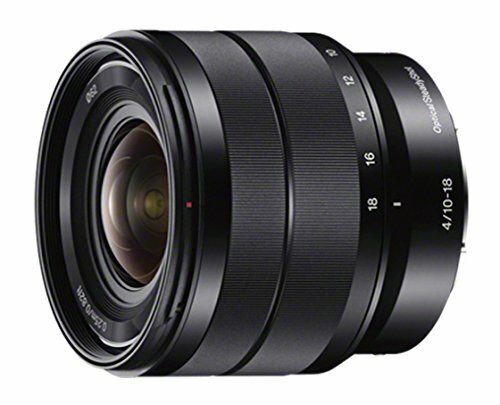 It is still considered though, one of the best ultra-wide lenses for the Sony e-mount system. The Zeiss 16-70mm is one of the sharpest zoom lenses for Sony. With equivalent length of 24-105mm on a full frame body, it is perfect for anyone who wants to photograph nature and landscapes! It has constant aperture of f/4, minimum focus distance of 35cm and Optical Steady Shot. It is compatible with all E-Mount cameras, APS-C and Full Frame. Landscape photographers will love this lens. The image quality is outstanding. Technical specifications don’t actually tell the whole story. You must go out there and take photos to see for yourself how it performs. Sharpness in apertures of f/5.6 to f/11 reach the highest levels and the 16-70mm focal distance covers most aspect of the photographer’s needs. With this lens you get superior optical performance in the areas of contrast, color rendition, vignetting and distortion. 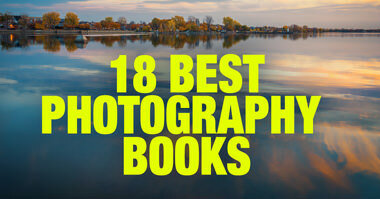 It is very sharp and provides extremely detailed pictures that are utterly crisp and have absolute stunning colors and contrast. Finally, the focus ring as well as the zoom ring are smooth and responsive. The autofocus works great too. 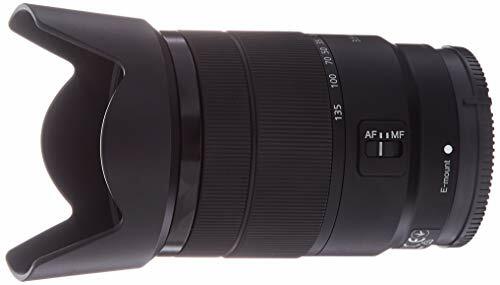 So, if you are in need for a great zoom lens with superior picture quality, the Zeiss 16-70mm f4 is the right lens for you. When Sigma introduced the new 30mm f/1.4 DC DN Contemporary lens, everyone was amazed. If you don’t have a prime lens and you’re looking to buy one, this lens should be your first choice. Since it doesn’t support Image Stabilization as the Sony 35mm f/1.8 OSS, it is not suitable for videos. 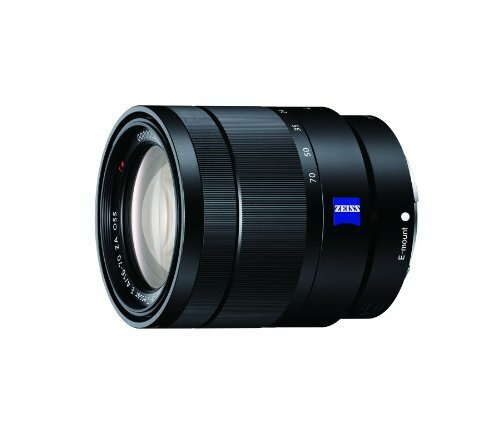 However, for portraits it is the sharpest lens for the Sony APS-C cameras confirmed by DXOmark.com and other camera distributors. In terms of minimum focusing distance, the Sigma can get as close as 30cm. It is 45mm equivalent on a full frame body and goes from f/1.4 to f/16. The autofocus is fast and works great in both stills and video. For those who want to use it for video, they might need to acquire a gimble for better image stabilization. Overall build quality is impressive and the focusing ring is also very smooth. The lens is ideal for full body portraits and group photos. You can use it for closeup shots, but you may notice a small face distortion. Wide open at f/1.4, the Sigma 30mm produces nice bokeh, although some chromatic aberration seems to appear on the background blur. Finally, if you have a Sony a6000 and you want to upgrade the image quality of the kit lens, the Sigma 30mm is the best choice. The Sony 18-105mm is the best all-around lens for the Sony a6000. 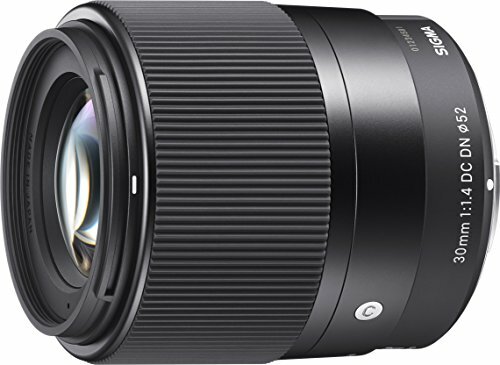 Even though the Sony 16-70mm is a superior lens, the Sony 18-105 is not far behind with regards to image quality. Plus, it is more affordable and has a better zoom range. It is arguably the best replacement for the Sony kit lens. The effective image stabilization benefits those who want to take both photos and video. The focal range of 18-105mm is more than enough to take it with you anywhere you go and no matter what type of photography you do. It has fast autofocus and produces clean images. One of the downsides of the Sony 18-105 is its size and weight. If you’re looking for a more compact and lightweight combination of camera and lens, the 18-105mm is probably not the right choice for you. To summarize, the Sony 18-105mm is a good all-around lens. It will cover most of your everyday needs without having to dig deep into your pockets. Street photography couldn’t become easier. 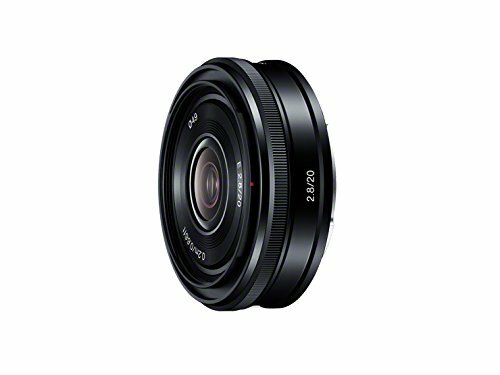 The Sony 20mm f/2.8 is an ultra-slim prime lens, specifically made for those who want to carry with them a light camera system. Mounted on the Sony a6000 it looks smaller than the kit lens. It has a 49mm filter thread, 20cm minimum focusing distance and weighs only 69 grams. Most prime lenses feature a standard polygon-shaped aperture. Yet, the Sony 20mm has a 7-blade circular aperture for better and smoother bokeh. Besides the small size, it has refined optical performance with fast and agile focusing. The aspherical lens elements within, reduce distortion and aberration. The lens produces great photos in natural light. Overall, the images are sharp, vibrant and in focus. Street photography requires fast apertures and shutter speeds. In aperture priority mode, you can control the depth of field. Even at f/2.8 the Sony will deliver great images with a little bit of softness in the corners. You can’t demand everything from this well-designed pancake lens. Sony has tried to squeeze quality and overall performance in a tiny lens. At this price range, it will give you more than what you’ve expected. Neither the Sony a6000 nor the Sony a6300 has in-body image stabilization. Sony only introduced in-body stabilization in the a6500. This means that if you shoot with an a6000 or a6300, you have to rely on the built-in image stabilization of your lenses. Among my selection of the best lenses for the a6000, a6300, and a6500, only the Sigma 30mm 1.4 is not stabilized. This means you have to be extra aware when using it. Do You Know What is the Best Memory Card for Sony a6000, a6300, a6500?